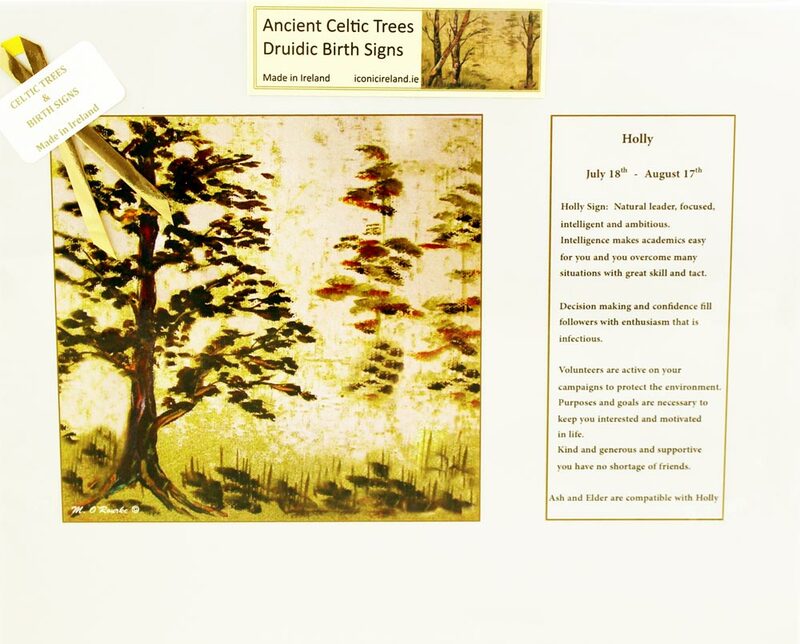 This Ancient Druidic Birth Sign is ‘Holly’: July 18th – August 17th. 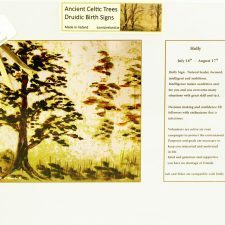 Ancient Celtic Trees Druidic Birth Signs quality printed from original artwork by Dublin artist, Maura O’Rourke, includes interesting information on this birth sign. 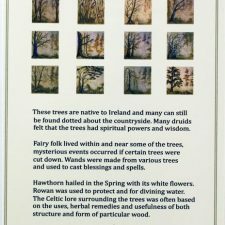 Ancient Druids used native Irish trees as birth signs, showing their spiritual connection. The Druids felt the trees embodied life and had spiritual powers and wisdom. Each tree sign is significant to your personality and each had a part to play in the living and the quality of the lives within the Celtic community, but all were of equal importance. These Ancient Celtic Trees and Birth Signs make unique Celtic Birthday Gifts Ireland. Holly Sign: Natural leader, focused, intelligent and ambitious. Intelligence makes academics easy for you and you overcome many situations with great skill and tact. Decision making and confidence fill followers with enthusiasm that is infectious. Volunteers are active on your campaigns to protect and environment. Purposes and goals are necessary to keep you interested and motivated in life. Kind and generous and supportive you have no shortage of friends. Ash and Elder are compatible with Holly.